The surface works were a straightforward (if damp) day of scanning and pano photography – a gentle introduction to the site. 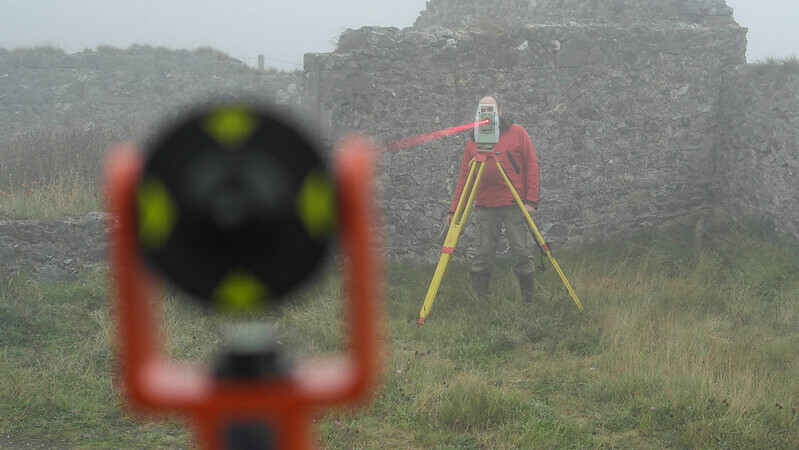 For the surface works, we carried out 26 scans, giving a good coverage of the buildings and allowing us to get close enough to couteract the effect of the fog lying on the site. 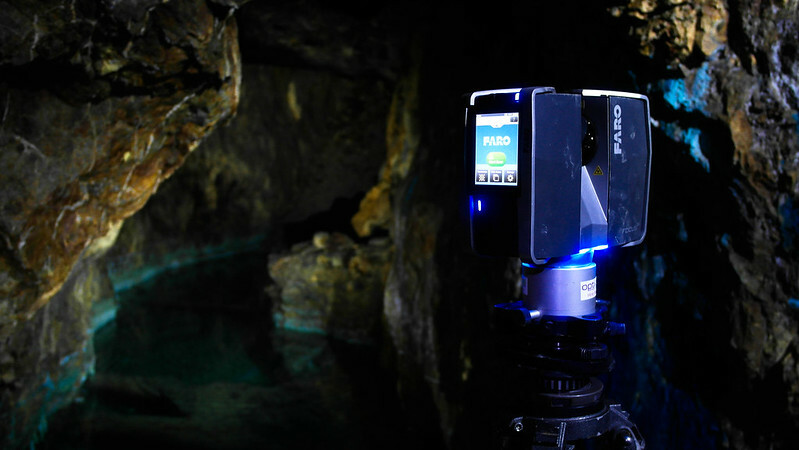 Underground, we recorded 56 scans using the Focus 3D, referenced to our total station traverse using spherical targets, which was tied in to the OSI grid using the RTK GPS. 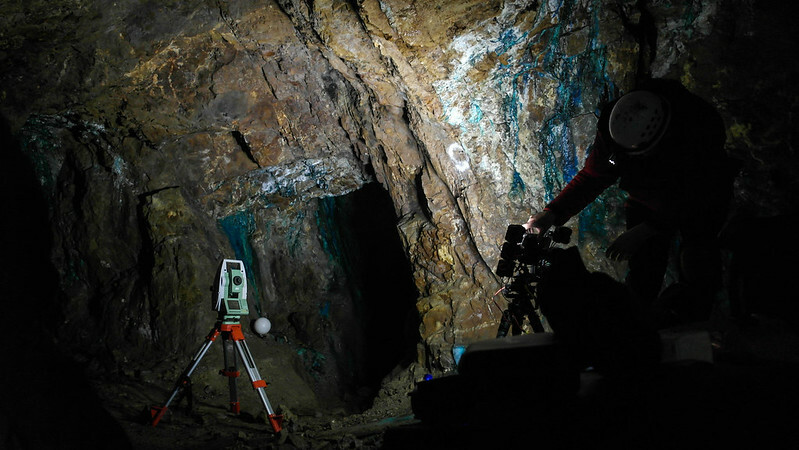 Due to the nature of the project and prior experience with getting good images underground, we built a LED powered light rig for our camera and made use of exposure bracketing and HDR imaging to capture as much of the fantastic colour and detail as possible. Over a thousand images were taken for the panoramic aspect of the project and cooked down to create the panoramic tours of the surface works and underground.